A treasure trove of age-old customs and time-honoured advice, as well as intriguing old wives' tales. Revealing that a great deal of old wives' lore does have its practical merits, but also how a lot of tales are not to be relied upon, this fascinating compendium of tips and tricks shows how sometimes old advice is still the best. 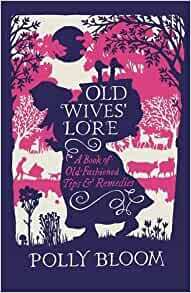 Start reading Old Wives' Lore: A Book of Old-Fashioned Tips & Remedies on your Kindle in under a minute. A combination of folklore and traditional advice, Old Wives' Lore illuminates the history behind female wisdom from yesteryear. A detailed manual of the ancient lore of the 'old wives' which includes many long forgotten hedgerow ways. I enjoyed this well-researched book greatly.